Be warned that this will be a relatively long and detailed article, looking at weapons and their characteristics, the design philosophy of weapons and considerations of shields, point-defence and a number of other relevant factors. Let us begin with examining the characteristics of weapons. Weapons in RTS games can quickly be simplified down to three types. These are direct fire – “scan-hit” (lasers and kinetics), ballistic (rockets and artillery) and guided (missiles and torpedoes). In some games, space games, there is also little difference between the first two, but for other games there’s an important difference there. Direct fire weapons can also be either instant-hit (lasers) or merely fast (kinetics), but there is often little difference in practical effect. On the other hand, ballistic and guided weapons may well behave differently, depending on things like point defence systems (discussed later in this article), and considerations such as gravity and wind. The concept of supply lines in RTS games has a mixed history. Many of the more popular RTS games abstract away the concept of a supply line, using a numerical “support” figure, which is built up by building “support” buildings. While effective in limiting army sizes, it also removes the chance of using supply lines to influence the actual gameplay. On the other hand, “realistic” attempts at doing supply lines have, like “Hard Vacuum” either simply not been repeated and/or have failed in execution. Artificial Intelligence is fairly dismal in quite a few RTS games. Instead of trying to play as if it were a Human player, the AI uses “brute force” tactics – in other words, cheating. It gets boosts to productivity, to resources and in some cases even to the damage done and taken by its units! It is helpful to the AI if units are more “generic”, if there’s lots of overlap, but that has obvious gameplay consequences. On the other hand, choosing the wrong units in R/P/S games, where you need “counters” for the enemy units quickly leads to defeat. This leads to another form of cheating – where the AI knows what you’ve built and works to counter it. This is often mis-sold as some form of “learning” in the game AI. So what do we need for our “Better RTS”? Our strategic game? The original article series was written for a long-defunct Total Annihilation fansite in 2004. 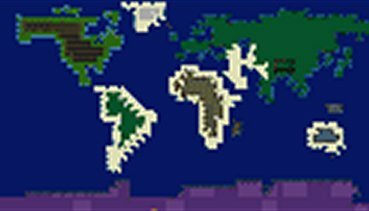 Ten years on, the article series is being mildly updated for the current era, when computer games are more popular than ever, and there is a variety of highly interesting RTS games not thought of in 2004 are on the market – among others, AI Fleet Command, R.U.S.E., Creeper World, Sword of The Stars and Eufloria – although I note most of these are primarily 2D. It still retains at it’s core, however, the concepts which it was originally built on. 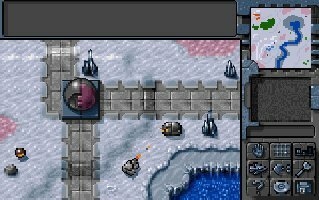 The primary focus of this series was and remains on a field which unfortunately still lags, isometric-view 3d RTS games. 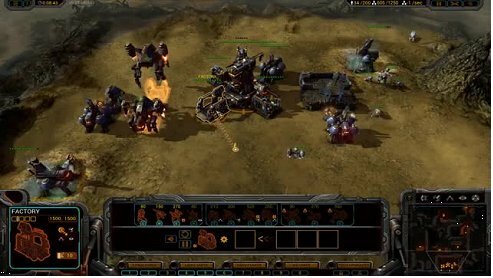 One recent example is “Grey Goo”, which while it has some interesting unit and side concepts is still tied to much the same paradigm as the RTS games of 1997, when Total Annihilation was new and the C&C series current game was Red Alert and it’s expansions – and it has little to offer in terms of advancing the genre.